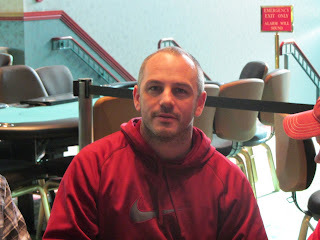 After eliminating Salvatore Morello in 3rd place, Gregory White and David Stefanski discussed and subsequently agreed to a chop. 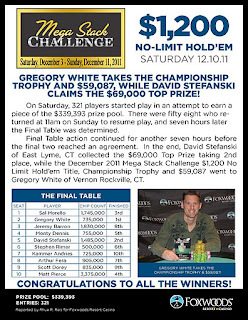 Gregory White will collect $59,087 and the title, while David Stefanski will collect $69,000 for his 2nd place finish. Congratulations to all of the winners! 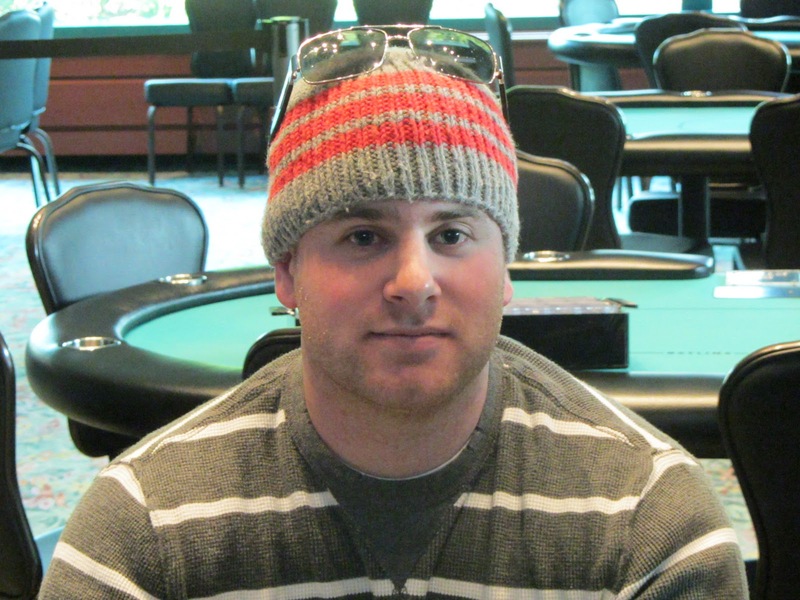 Salvatore Morello raised preflop and Gregory White moved all in, having Salvatore covered. Salvatore frustratingly made the call holding the [Ah][3d], and he was in trouble against Gregory's [As][Qc]. 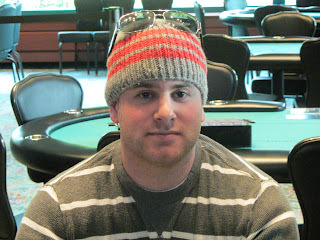 The board ran out [5c][8c][5d][Kh][2c], and Salvatore missed all of his outs on the river to be eliminated in 3rd place. He will collect $30,376 for his efforts. 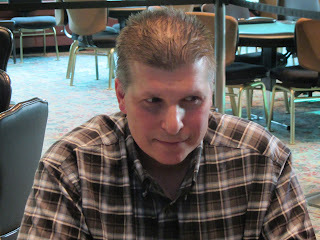 The remaining 195 players are now on a one hour and fifteen minute dinner break. Play will resume at 7:45pm, and the blinds will be at 600/1200 with a 200 ante. The 220 players remaining are now returning from their third break of the day. 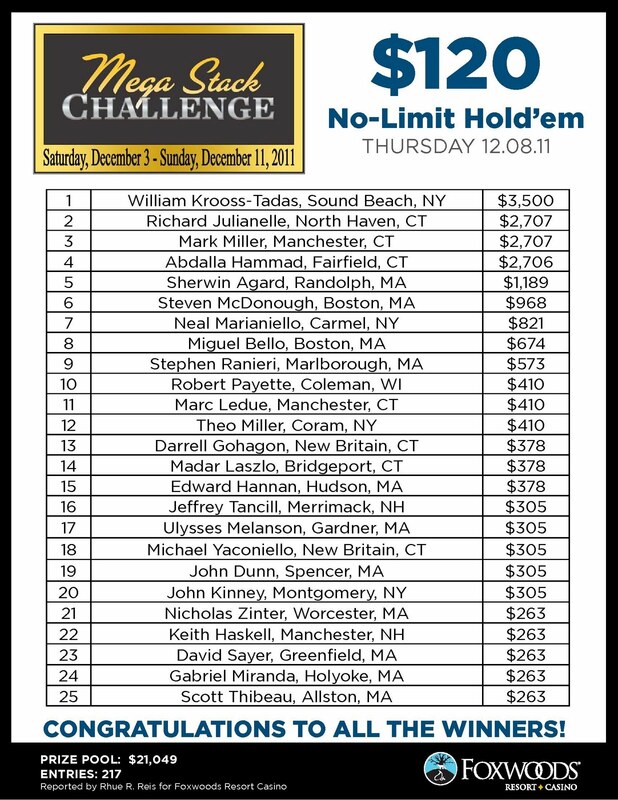 When they return, they will be playing 500/1000 blinds with a 100 ante. At 6:30pm, the remaining players will be on their dinner break. Remember, you can watch the live feed by clicking on Watch LIVE Feature Table at the top of this page. There are approximately 270 players left in today's $1,200 Mega Stack event, down from the 321 runners that started the day. Those players are now taking their second 10 minute break of the day. 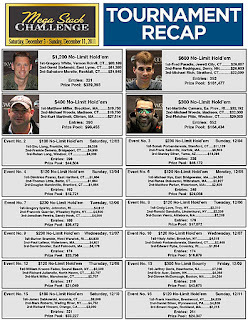 When they return, they will be playing 250/500 blinds with a 50 ante. The average stack is currently about 47,500. Cards are in the air for the $1200 Mega Stack event. 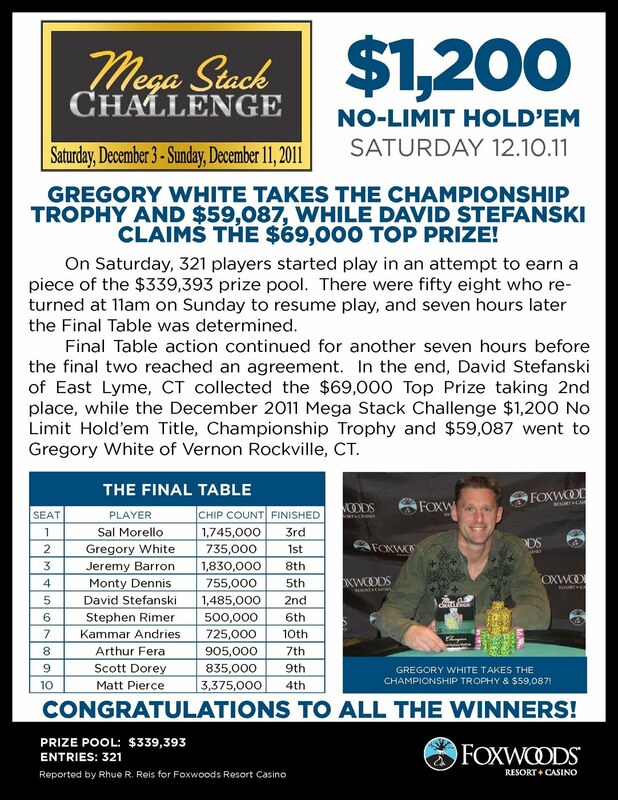 Players will begin with 40,000 chips and will be playing 40 minute levels today, later going to 50 minute levels. Registration is still open, so there is still a chance to come down and sign up. $400 Mega Stack Event Now in the Money! We are now down to the final 30 players in the $400 Mega Stack Challenge event. 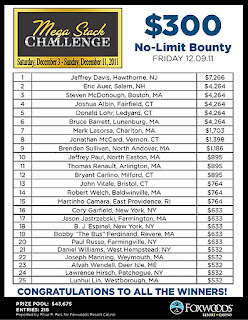 All players are now on the money and guaranteed at least $935. 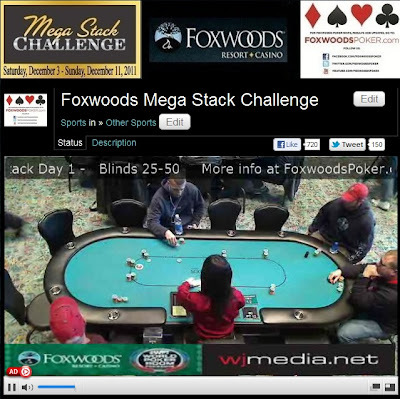 The players in the $400 Mega Stack Challenge event are now on a 10-minute break. With 51 players remaining, the average chip stack is now 114,000. 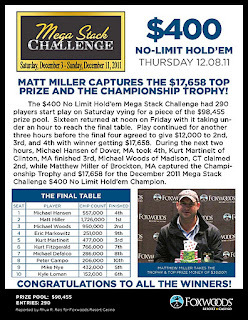 The players in the $400 Mega Stack Challenge event are now on a one-hour dinner break. 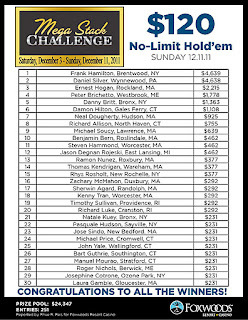 There are currently 75 players and the average chip stack is now 37,300. 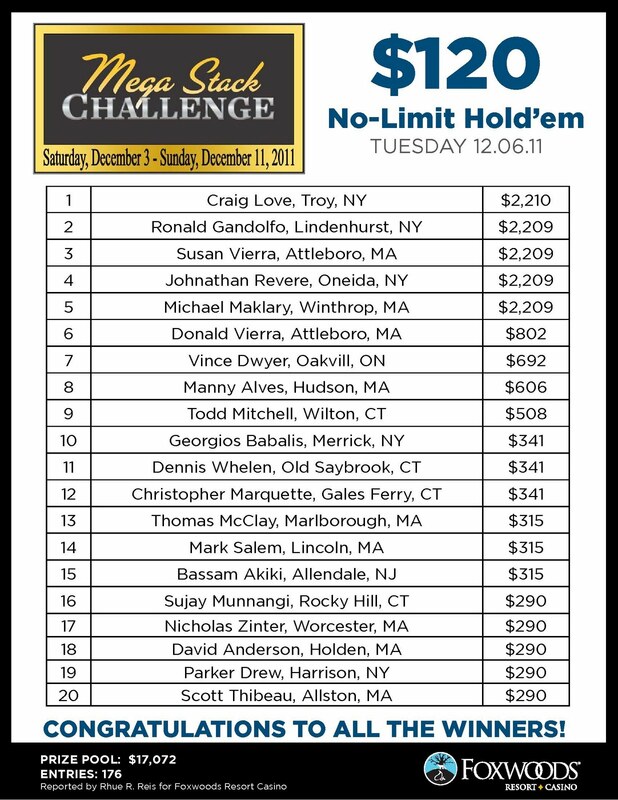 There are now approximately 170 players remaining in the $400 Mega Stack Challenge event. The blinds are currently 400-800 with a 100 ante and the average chip stack is 34,100. 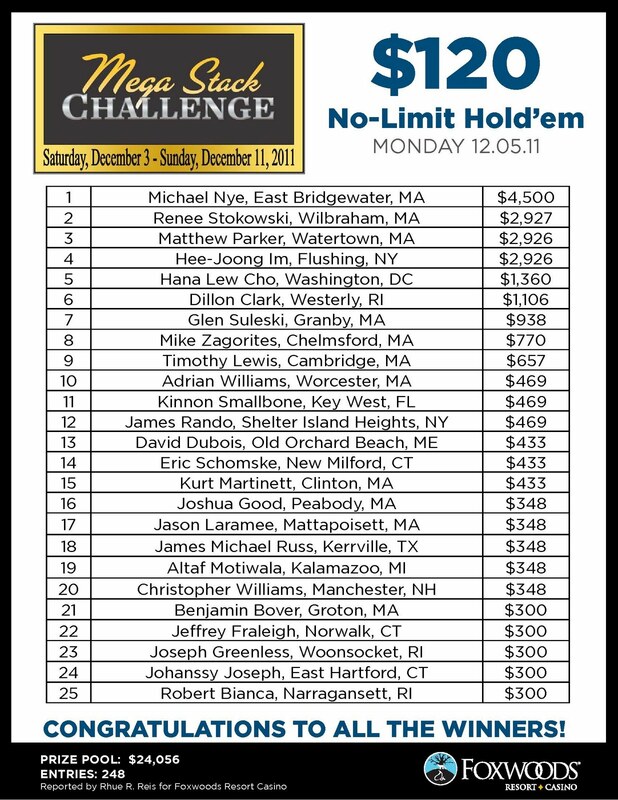 We had a total of 290 players in the $400 NLHE event at the December Mega Stack Challenge. $400 Mega Stack Underway & Streaming Live! Day 1 of the $400 Mega Stack Challenge event is now underway. Players start with 20,000 in chips and the levels are 30 minutes in length for the first 12 levels and 40 minutes in length after that. The blinds are currently 25-50. 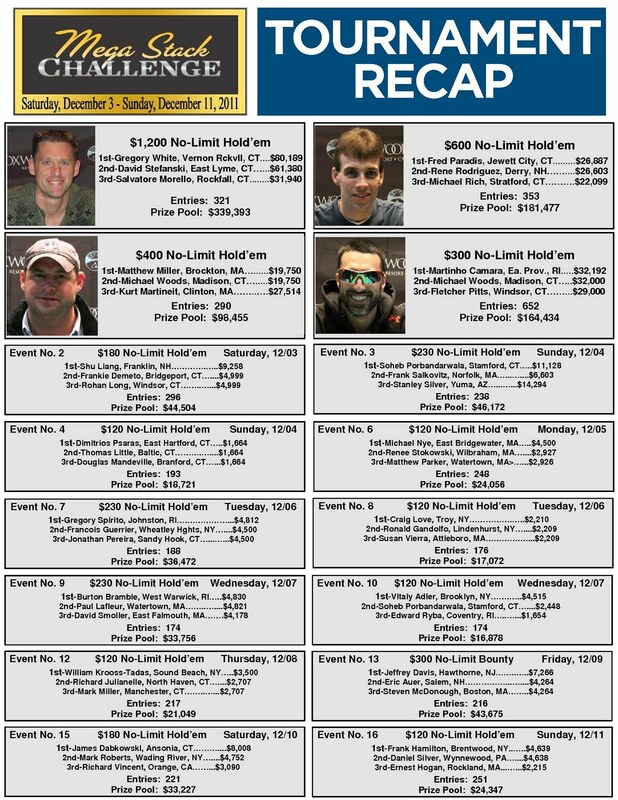 You can watch the live stream of the feature table by clicking "Watch LIVE Feature Table" at the top of the page or by clicking HERE. 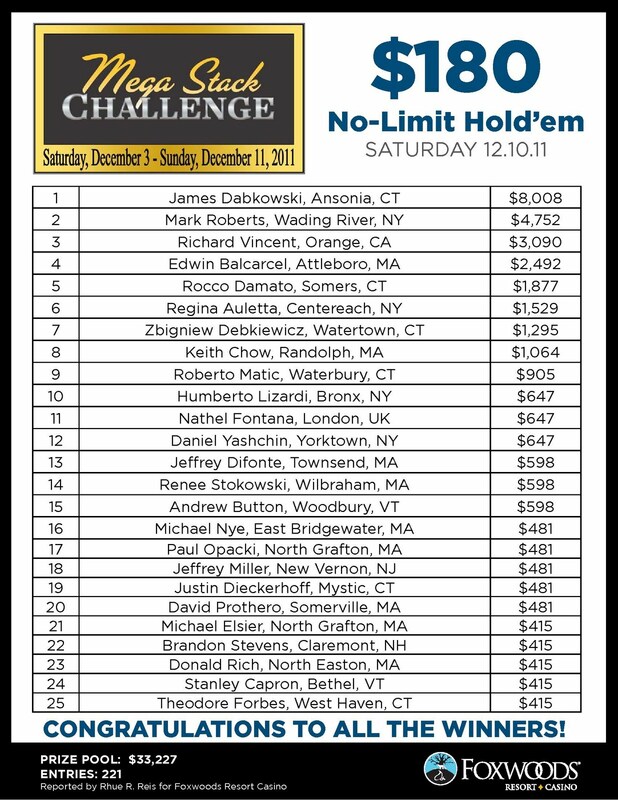 - Players start with 20,000 in chips and there is a $75,000 guaranteed prize pool. - Players start with 15,000 in chips and there is a $15,000 guaranteed prize pool. Martin Camara Wins the $300 Mega Stack Challenge! The final three players in the $300 Mega Stack Challenge event have come to an agreement on a chip chop. Martin Camara is officially the champion of the event, taking home $27,000 and the Mega Stack Challenge trophy! 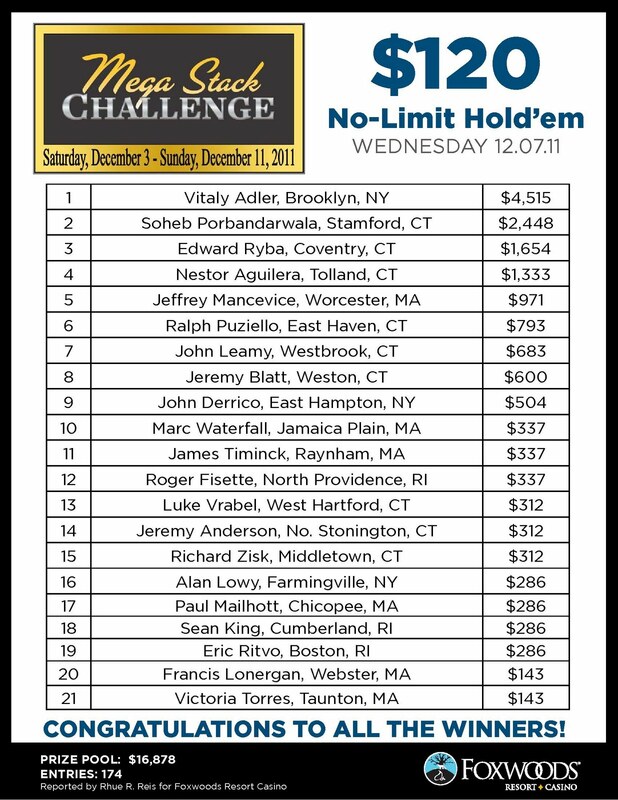 On a flop of [6h][5h][2d], Martinho Camara bets 100,000 and Christopher Ely calls. The turn is the [8d] and Camara checks. Ely fires 450,000 and Camara calls. The river comes the [8s] and Camara checks again. 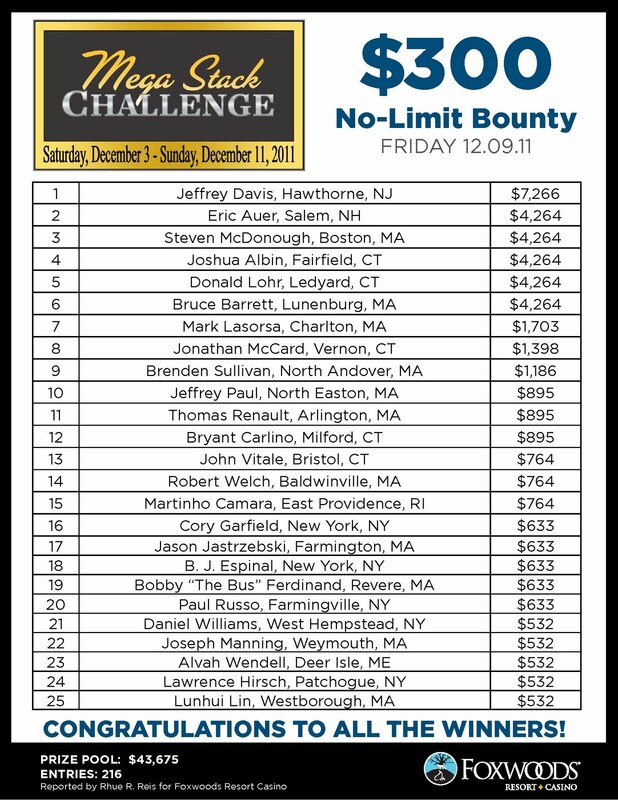 This time, Ely moves all-in for 1,360,000. Camara thinks for a few minutes before announcing call and Ely throws his cards into the muck instantly. 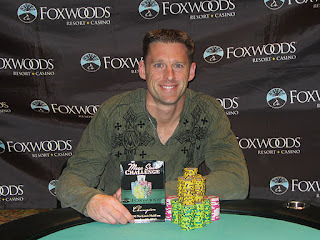 Camara shows [Qd][5d] to win the pot and eliminate Ely in 4th place for $10,573. The board runs out [Qd][9s][2s][4s][6c] and Camara wins the pot with a pair of nines. Scott Reynolds is eliminated from the $300 Mega Stack Challenge event in 5th place for $8,370. Leon Bedard raises to 160,000 from under the gun and is called by Martinho Camara from the button. 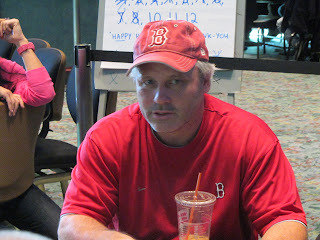 The flop comes [Tc][9s][7h] and Berdard bets 400,000. Camara calls and the turn is the [Jh]. Camara turned the straight to take the lead in the hand. The river comes the [3s] and Camara wins the pot, eliminating Bedard in 6th place for $6,725. The turn is the [7c] and the river comes the [As]. 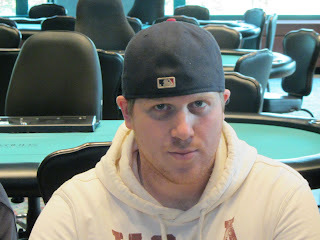 Ely takes the pot with his pair of queens and eliminates Jaeger in 7th place for $5,180. The board runs out [8c][5d][3c][Tc][2s] and Woods wins the pot to eliminate Plant in 8th place for $4,110.